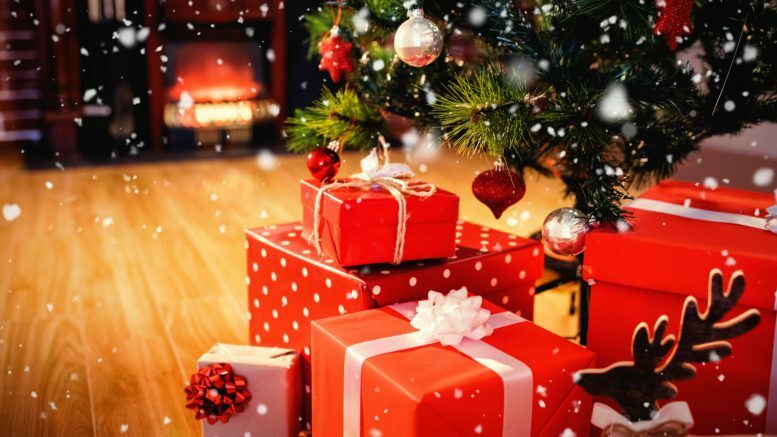 If you have another keen traveller in your life or perhaps want to get some suggestions for your own Christmas wish list, here are some of my favourite presents around this year for travellers. Nearly all the very frequent travellers I know, as well as myself, use the Bose QuietComfort 35 Wireless Bluetooth headphones. They aren’t cheap at around £329 (currently £40 off at Amazon (£289)) but being wireless as well as offering fantastic sound quality and great noise reduction, they are worth the splurge. I have the older version but version II is even better with Alexa compatibility. As I have not yet mastered the art of packing light, this next product is incredibly useful for lightening the load when travelling. Most perfumes and aftershaves come in big bulky bottles which weigh a ton and are fragile too. There are a number of similar products on the market but the Travalo Milano gift set is the nicest in terms of giving to someone else. You get one spray holder and then three interchangeable sprays to put in the holder. They are very simple to fill – simply take the spray top off your perfume or aftershave bottle and with a couple of pumps into the Travalo you have a ready-made mini spray to travel with. They are available in a range of colours so if you want to take a few away with you, you will be able to tell them apart. This would be nice extra gift if you are buying someone some perfume or aftershave this year. If you want something that is more of a stocking filler they also do a single Travalo in various colours. As I often do flights with a number of connecting flights I have invested in a luggage tracker. I am currently trialling the credit card sized GEGO by Lugloc which is actually designed to track lots of things, even your child! You can set safe zones and get alerts via text message or through Alexa and you will know when your child leaves or enters school. You could even use it to locate your car if you keep forgetting where you parked! Simply attach or place GEGO in the item you would like to track. Then by tapping the app on your smartphone (Android or iOS), GEGO’s location will be displayed instantly on the app’s map. GEGO has worldwide 3G Coverage (198 Countries) and uses 3 simultaneous systems: GSM 3G, Wi-Fi & Bluetooth. To use the 3G element you do need to pay a subscription but plans start at $6.33/Month when billed annually. The GEGO is also airline regulation compliant (TSA, FAA and IATA). Both Roving Reporter and I swear by packing cubes. Not only do they keep your stuff organised but they also allow you to cram more into your case by compressing the contents. They are perfect for trips where you move around a lot as you can simply put the cases straight into a drawer without having to unpack properly. The Ebags packing cubes set is a good starting point but I also have a couple of the smaller bags as they fill gaps nicely and are a great size for underwear. One of the best things you can invest in for a good nights sleep on a plane is a sleep mask and some good earplugs. Again, you will probably get handed an amenity kit with these in but they are rarely great quality even in first class. The best eye masks for sleeping are those that are contoured so that they don’t press down on your eyes. They are also useful for hotels where the curtains don’t quite meet! My suggested ones for a gift is the Bedtime Bliss Luxury Contoured Sleep Mask as it comes with a carrying pouch and some earplugs, so makes a nice gift set at £8.90. ugh power for one extra charge too. If like me you end with a jumble of wires from various leads, earphones and chargers, the BAGSMART organisers could be the answer. They do a range of sizes from the BAGSMART extra large double layer (£26.99) which can hold up to an iPad Pro plus cables, earphones, adapters etc to the more compact BAGSMART Cable Organiser (£13.99), there is one to fit every requirement. My latest two gadget accessories are a power bank and a multi-country USB and USB-C plug with interchangeable heads. I rarely have anything to charge now which is not either USB or USB-C so this small INATEK charger is perfect for most trips. Unlike some of the bulky all in one chargers it doesn’t half hang out of the socket due to the weight of it and its compact design makes it ideal for your hand luggage. It comes with plugs for the EU, UK and US which simply slip on and off. AIDEAZ power bank is very portable being lighter than a can of soup and the compact size makes it easy to fit into computer bags, backpacks or handbags. It takes around 6 hours to charge fully but once charge it can charge an iPhone 6 times. The bank has two USB-C ports and one normal USB. It has enough power to charge a laptop via USB-C rapidly. It even supports wireless charging for all Qi enabled devices. TLFL has just invested in a new drone to bring a new dimension to our photography. In the past drones were too heavy and bulky to really take travelling but the newer models are much more portable. 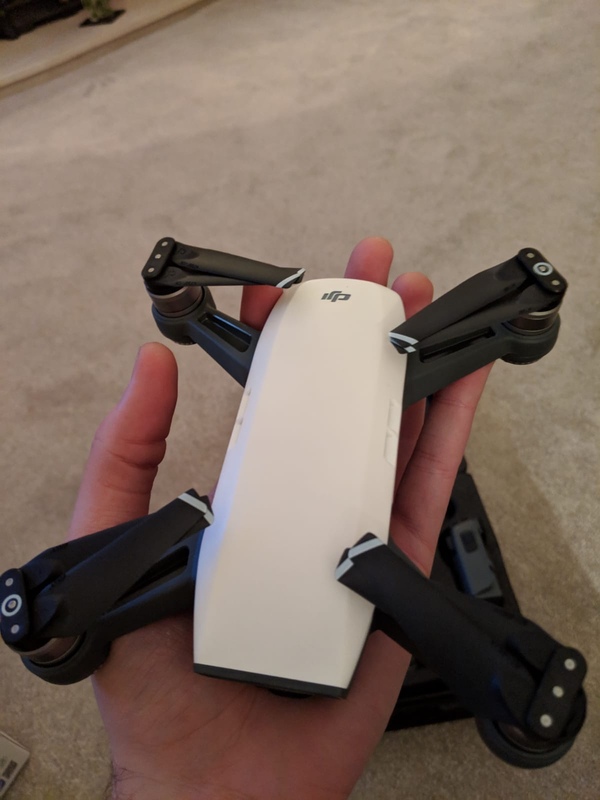 We have just bought DJI Spark Drone Fly More which features Quick launch with Face Aware so that it lifts off from your hand by recognizing your face! It takes off and hovers in place within seconds of powering on and uses just hand gestures, without a remote controller or mobile device to control your drone. Intelligent Flight Modes and intuitive controls help you create cinematic aerial videos with just a few taps. If you want to get someone who loves taking photos something a bit different, why not try a 360° camera? I recently bought a Ricoh Theta SC camera and have absolutely loved taking 360° photos. You can post them on social media as well as viewing them online or on your device. Photos can also be taken remotely too via an app if you don’t want to get yourself in a shot. The blue colour of the Ricoh Theta is currently on offer at £179.99. And finally the novelty gift or stocking filler……. If you want something a little bit different you could try a scratch-off world poster map. The difference with this is that as the recipient travels they can scratch off the countries they visit as a nice memento of all their travels. What’s your favourite travel item that would make a great gift? Let us know in the comment below or on social media. Happy shopping…… and the best part is that you can do it all online! 11 Comments on "Christmas Gift guide for people who love travel"
Brilliant article. I have 4 of the items and they are as you say the bees knees! I shall be buying two more of the suggested pressies one of which I have known about already but had not had time to investigate. Good old Amazon!! Just back from Bahrain and starting to get organised for HKG for Xmas! OT……I think your description of the T5 Sofitel being a “bit tired” was a little harsh. In our opinion (humbled of course) it remains streets ahead of anything else at / near LHR except for perhaps Great Fosters. We ALWAYS stay at the Sofitel these days irrespective of which terminal we are departing from – or when the flight is. We were there a week ago and it was every bit as clean, friendly and professional as it was the day it opened. Big strides at Belle Epoque too as it is now under the attending guidance of Mark Lawton ex of the Ritz and Ramsay’s Hospital branch. The meal was even more spectacular than before! Cant wait til 21st to sample it again!! Hi Nigel. In terms of the Sofitel I really meant the rooms which have not been updated since it opened and are a looking a bit worn. I find the hotel comfortable and I agree that there is nothing else that is at the same level near Heathrow but a lot of the new hotels or newly renovated ones have nicer bedrooms although the overall experience isn’t as good. I’ll be trying the new Crowne Plaza at T4 shortly so it will be interesting to see what that is like. Thanks Donald. Fingers crossed Santa brings you something nice! Fantastic post with some excellent ideas, thanks! This might seem slightly mad but I’m thinking of giving my other half the gift of IHG Ambassador status! It’s around $200ish and I think it’s worth trying it. Thanks Melanie! That is a really good idea about being able to buy Avios for someone else as the only way to do it now is to transfer yours as otherwise you would have to buy them and transfer which would cost double. I’ve a slimline version that slips into my pocket and does three charges for the iPhone. Hi, Michele. Some great ideas here! Just or info, the Bose headphones have been superseded by https://www.amazon.co.uk/Bose-QuietComfort-Wireless-Headphones-Cancelling-Black/dp/B07G95TJ3P/ref=dp_ob_title_ce?th=1 – lower price (£289) and with Alexa! Thanks Roger I will update it! Some great ideas and three are about to be ordered for family gifts!